Liam Mellows was born in Lancashire in May 1892, the son of a British army sergeant; his parents were from Kilkenny and Wexford. He spent much of his youth in Ireland, attending military and garrison schools in Wexford, Cork and Dublin. Mellows’ gateway to Irish republicanism was Na Fianna, the nationalist version of the British Boy Scouts. He soon proved himself a talented organiser and in 1913 was tasked with reorganising them on a nationwide basis. At the same time, Mellows joined both the Irish Republican Brotherhood (IRB) and the Irish Volunteers. Upon the outbreak of the First World War, the Volunteers split over the issue of joining the British forces and Mellows remained with the breakaway group that opposed enlistment. In October 1914, as part of a national shake-up of the Volunteers, Mellows was dispatched to Galway to both train the existing members and found new battalions. 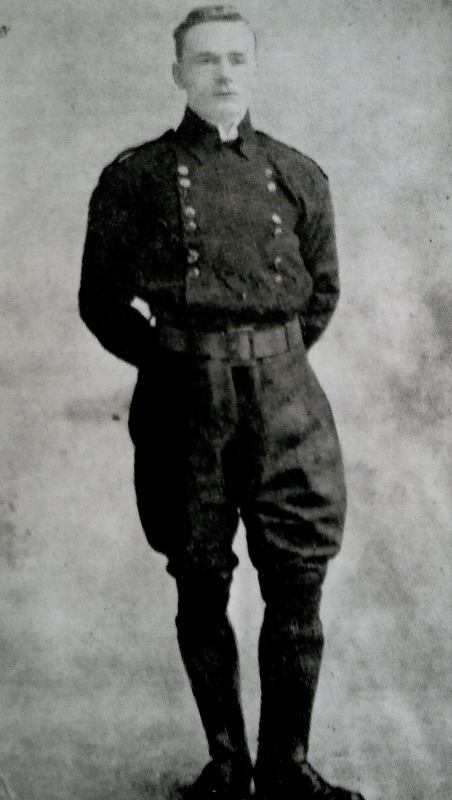 By all accounts a personable and likeable individual, Mellows soon overcame the suspicion of the local Volunteer officers and became hugely popular with the men in the west. However, he also clashed with some of the IRB members, in particular with Tom Kenny, a blacksmith from Craughwell who was a noted land radical. In May 1915, Mellows was served with a Deportation Order and was eventually imprisoned in England. Although he made his way back to Ireland he was absent from Galway until just before the Rising and his absence created uncertainty amongst the local officers, who seemed unsure of how to proceed without his leadership. Over 500 Volunteers and Cumann na mBan engaged the Royal Irish Constabulary (RIC) at Clarenbridge, Oranmore and Athenry and controlled large areas of the countryside for most of Easter Week, before they withdrew to Moyode and then Limepark before disbanding. Following the failure of the Rising, Mellows spent several weeks on the run, living rough in the countryside before finally making this way to New York in December 1916. He remained there for four years, becoming active in Irish-American politics and assisting with de Valera’s tour of the United States in 1919-20. While in the US, he was elected to represent Galway in the 1918 election and he finally returned to Ireland in October 1920. He was appointed the IRA’s Director of Purchases and worked to import arms into Ireland, while also representing Galway in the Dáil; he was returned in the May 1921 election. 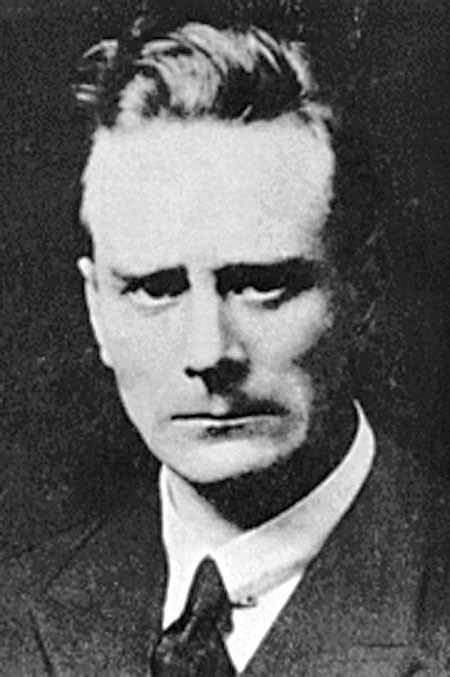 Mellows bitterly opposed the terms of the Anglo-Irish Treaty in December 1921. His main argument was that the Irish republic had been declared and in existence since Easter 1916; therefore the Treaty was unnecessary. On several occasions in the Dáil he spoke passionately against it, while outside the chamber he moved into the centre of the anti-Treaty opposition. In March 1922, he was appointed to the post of Quarter-Master General of the IRA and was one of the garrison which occupied the Four Courts in April. He was captured when the Free State forces attacked the complex in June 1922, and he was held, along with other republican prisoners, in Mountjoy prison, where he would remain for six months. In November 1922, he was chosen as Minister for Defence in de Valera’s anti-Treaty government. In 7 December 1922 Sean Hales, a member of the Free State army and the Dáil, was shot and killed by the IRA. Another deputy, Patrick O’Malley, was wounded. In retaliation, the Provisional Government selected four leading republicans to be executed without trial: Rory O’Connor, Joseph McKelvey, Richard Barrett and Liam Mellows. On the morning of 8 December, the four were shot by firing squad in Mountjoy. They were among 77 republicans officially executed all over the country by the Free State during the civil war, including ten Galway men. Mellows’ connection with Galway remains strong. Mellows hurling club was established in 1933; Renmore Barracks, formerly the home depot of the Connaught Rangers, was named Dún Uí Mhaoilíosa in 1954, and his statue was erected in Eyre Square during the commemoration of the Rising in 1966. His role during the Rising and his election as TD for Galway means that he remains an icon of the revolutionary period in the West.